We got this star on clearance at Target after Christmas, so it became the January mantelscape. 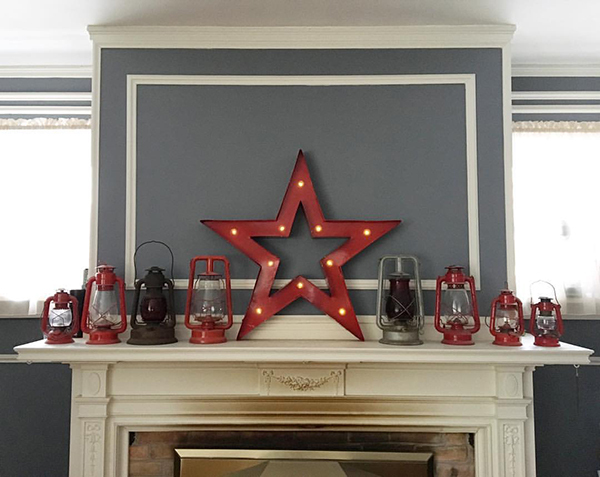 Aaron thought it looked a little lonely there by itself, so I picked out red lanterns from his collection and added them. 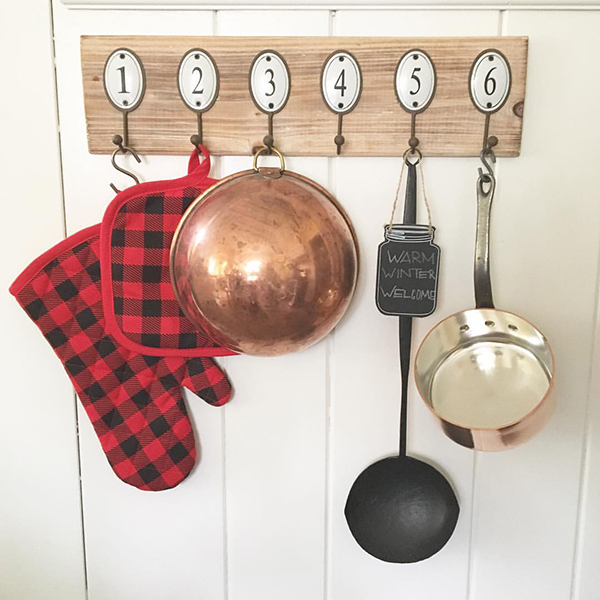 The winter kitchen decor is a little toned down with a lumberjack theme. I am ramping up for Valentine's Day decorations!